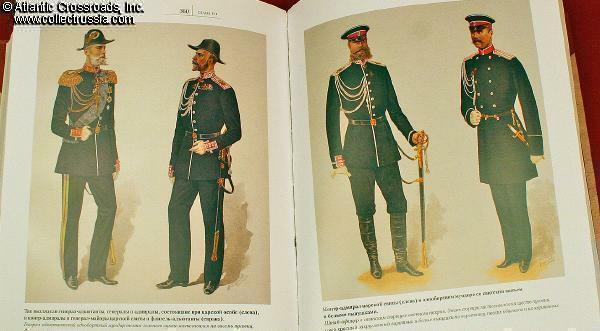 "Russian Naval Uniforms" Dotsenko & Hetmanets, 2008, Russian text, 428 pages, hundreds of photographs and illustrations. 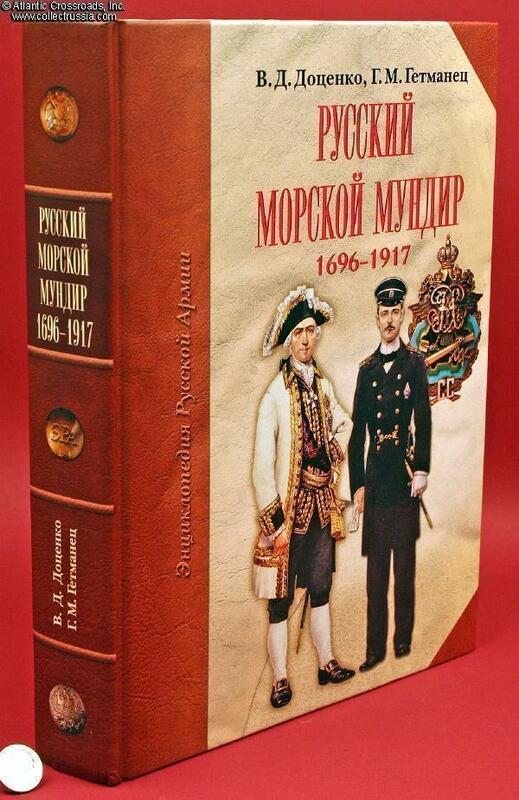 Large and heavy 8 x 10 ½ [20 x 27cm] with a hard laminated cover. 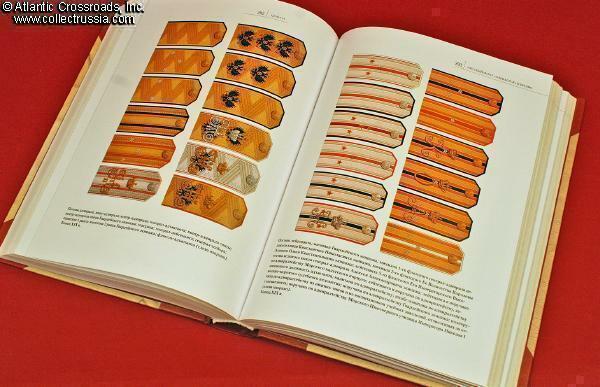 For those of you who missed buying Dotsenko's earlier book of the same title, this is finally your chance to add an authoritative book on imperial Russian naval uniforms to your personal library. 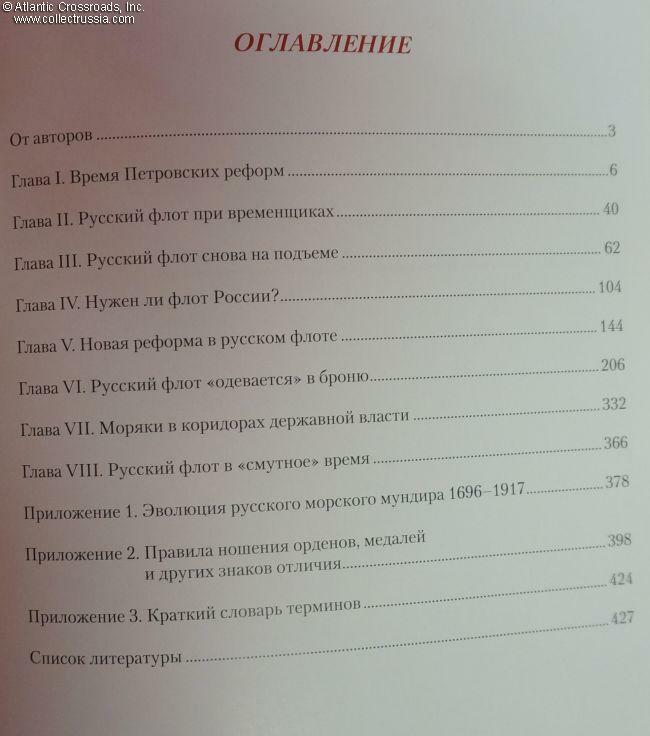 At 428 pages, Dotsenko and his co-author have created a new volume that is almost twice the length of his 1994 reference book. 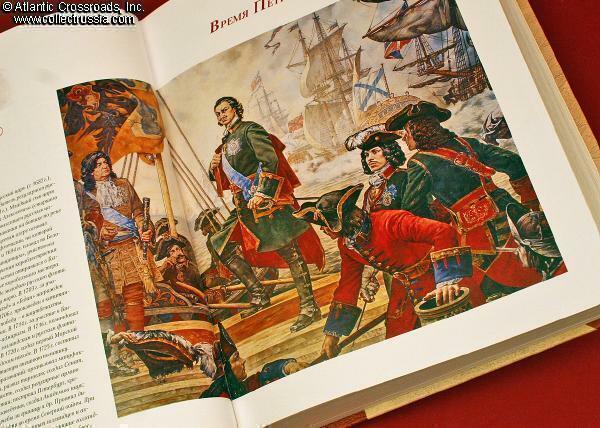 Included are many new illustrations as well as numerous portraits of naval personnel. 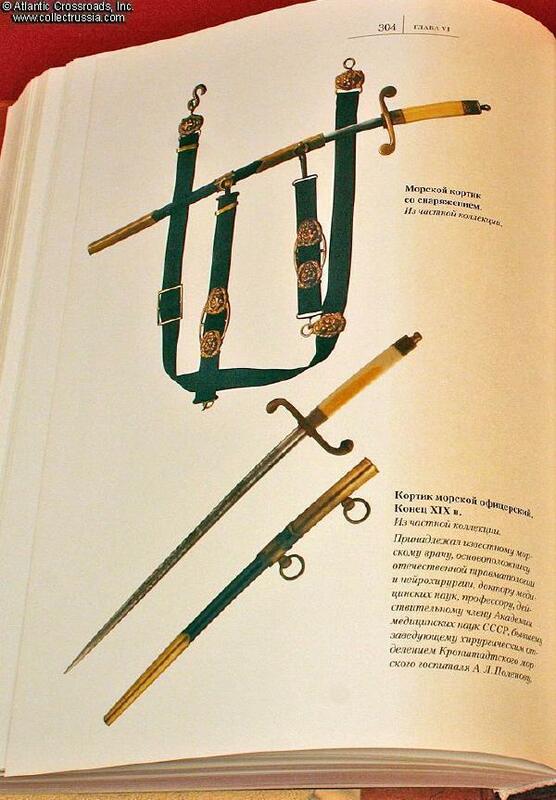 This is the latest offering in the "Encyclopedia of Russian Arms" series and, like the other titles in the series, it is beautifully printed and sturdily bound. 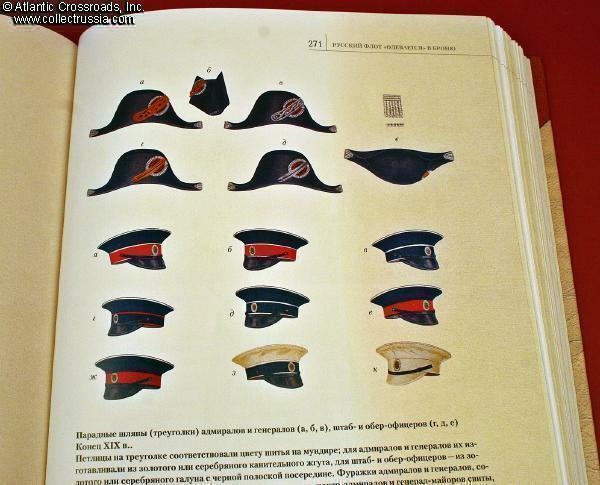 Without a doubt, it will come to be regarded as the most complete guide on all aspects of uniforms, rank structure, personal gear and equipment of Russian sailors prior to the 1917 revolution.